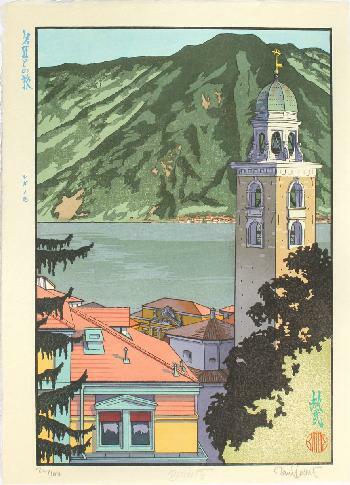 Lugano, a new design in the series Meishô to no tabi - Travels with the master, in which Paul Binnie follows in the footsteps (artistically and literally) of Yoshida Hiroshi. Paper size: 29.5 x 41.5 cm. Title and series title in the left margin, signed in pencil in the bottom margin.